The leaves are changing here in the upper Midwest, and as much as I don’t want to admit it summer truly is behind us. If you live in a warmer area you might still be harvesting zucchini and if you are, this recipe is for you. If you don’t have zucchini growing in your backyard this cake will be worth their purchase from your local grocery store. 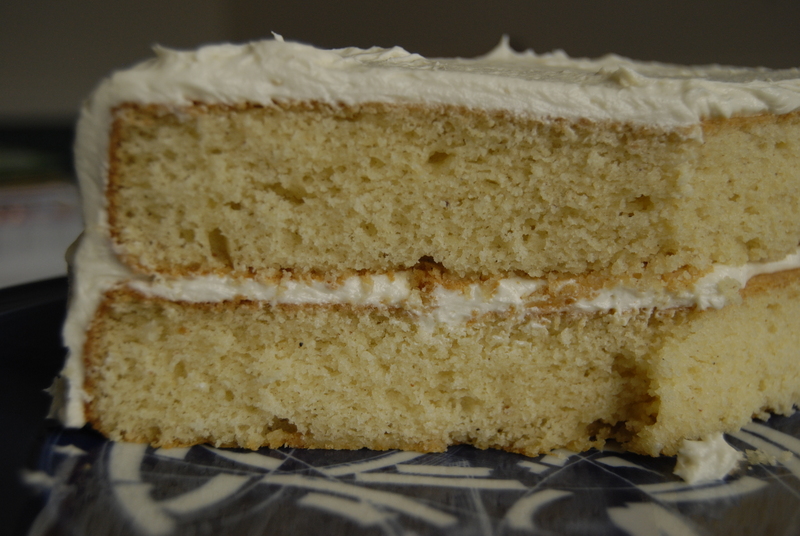 When I made this cake I was very doubtful that I would like it. I was willing to make it, learn from it and toss it. I don’t like throwing out food, but I was willing to this one time just for the sake of learning. Rest assured none of this cake went to waste, but rather to “waist”. My husband and I both loved this cake. You might be wondering what about the recipe made me doubt it’s tastiness? The fat in the cake comes from olive oil. I thought for sure I wouldn’t like olive oil in this type of baked good, but I was so wrong. The original recipe comes from Gina DePalma’s book Dolce Italiano. I don’t own the book, but I’d like to get my hands on it to discover what other gems are waiting between the covers. If this cake is representative of the rest of the book, it may become a must have book, because this cake is genius. 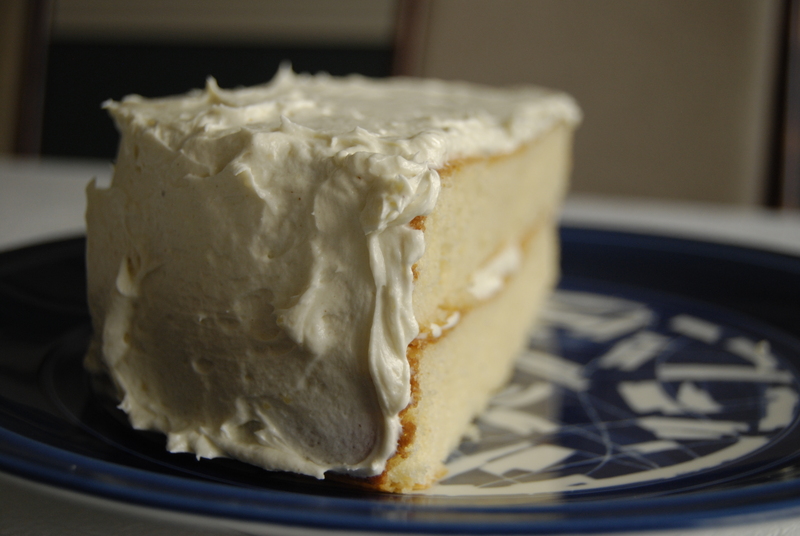 The cake is super moist, and the lemon glaze gets a little crunchy when it sets. The lemon compliments the zucchini and olive oil in such a way that you don’t think of the zucchini and olive oil as individual components. They come together in an interesting and delicious way that I wouldn’t have guessed. I wanted to share this cake with everyone and make believers out everyone that zucchini and olive oil could come together in a cake without being covered up with chocolate. I want everyone to taste it and love it the way my husband and I do. Unfortunately the cake didn’t make it far. A few slices went to the neighbors, and we ate the rest of it over the course of a few days. Seriously! Two of us ate almost the entire cake. It’s that good. Preheat the oven to 350 degrees. Grease a 10 c. bundt pan with non-stick spray and dust with flour. Sift together: Flour, leaveners, salt and spices. Set aside. In the bowl of a mixer beat the eggs, sugar and olive oil for 3 minutes on medium speed until light and fluffy. Scrape down the bowl and stir in the vanilla. Mix in the dry ingredients, and beat on medium speed for 30 seconds. Pour the mixture into the bundt pan and smooth the top. Bake for 45 – 50 minutes until a toothpick inserted into the center comes out clean and the cake has started to pull away from the sides of the pan. While the cake is baking stir together the granulated sugar and lemon juice. Stir it well and let it sit while the cake bakes. Let the cake cool for 10 minutes, then invert onto a cooling rack. Add the powdered sugar to the lemon and sugar mixture. 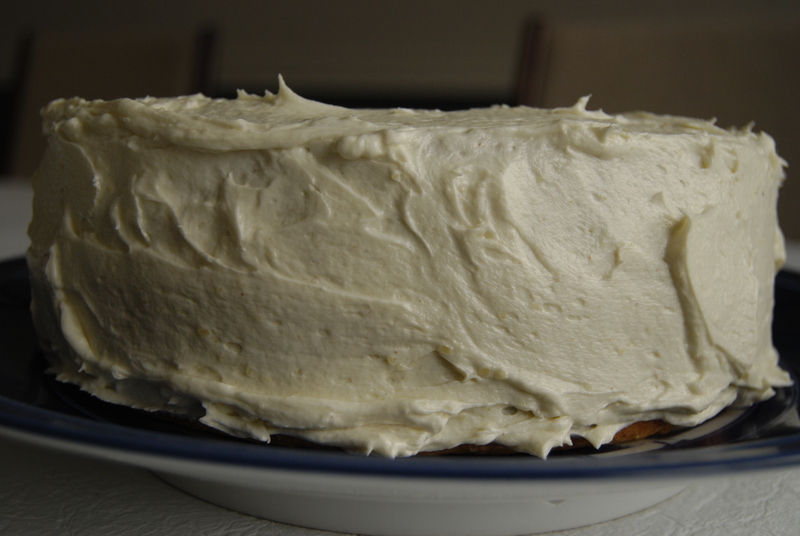 Use a brush to apply the glaze to the cake while it is still warm/ Let the cake cool completely. A silicone brush works well for this but a pastry brush will also work.